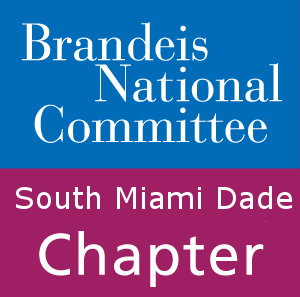 Study Groups, also known as Learning Opportunities, are the heart and soul of BNC South Miami Dade. They provide our members with a space to socialize and satisfy their need for knowledge, as well as raising money for Brandeis University libraries, scholarships, and sciences. All the programming we provide is designed to educate, entertain, provoke discussion, and encourage friendship. We are careful to include a range of topics so as to ensure there is something for everyone. Topics from past years have included comedy performance, theater, dance, film, cooking, trips to local attractions, music, history, poetry, social issues, and more. Some special events are run in coordination with Brandeis. For example, the annual University on Wheels event is always extremely popular. In this event a Brandeis professor will visit the chapter and speak about a topic of interest. Some groups and events use materials compiled by Brandeis professors exclusively for BNC. BNC’s unique connection to an institution that holds knowledge in such high esteem guarantees our members access to a wonderfully intellectual environment. We can’t wait to spend another year learning beside our members! The Learning Opportunities are finally here! Take a look at the exciting lineup we have planned for this season and sign up quickly! These pages are pulled from the bulletin. To see what groups have been offered before check out the chapter’s past bulletins.